This text, produced by both the Institute of Physics (IOP) and the Institute of Physics and Engineering in Medicine (IPEM), gives information on the development and uses of medical physics. The text is aimed at teachers but it could be used with more able key stage 4 or Post-16 students. 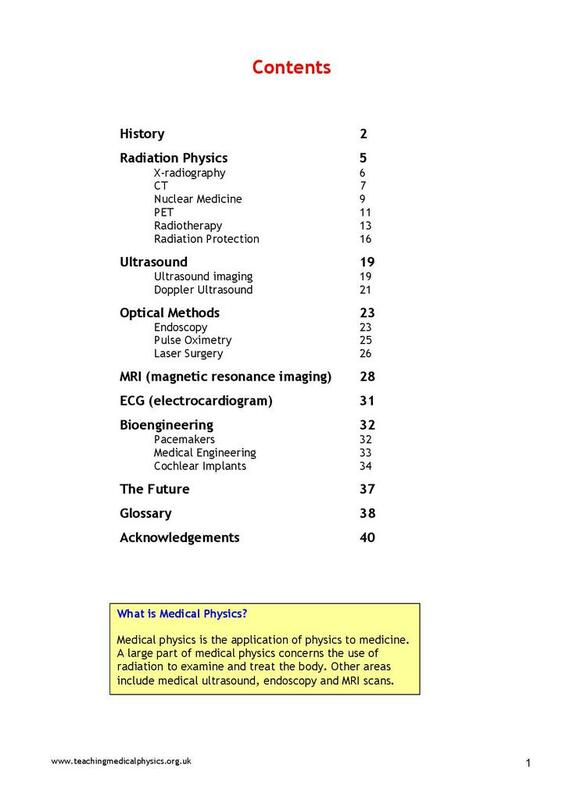 This is an excellent resource for teachers and learners delivering and studying medical physics on any A Level physics syllabi.. The links on the IOP homepage will take you to engaging video clipsthat brings medical physics alive. Many thanks to the IOP.